Air Peace Chairman/Chief Executive Officer, Mr. Allen Onyema flanked by the Vice Chairman, Mrs. Alice Onyema and Chancellor of Chukwuemeka Odumegwu Ojukwu University and Ewi of Ado Ekiti, HRM Oba (Dr) Rufus Adeyemo Adejugbe Aladesanmi III (right) during the conferment of an honourary Doctor of Business Administration of Chukwuemeka Odumegwu Ojukwu University on Onyema on Saturday. 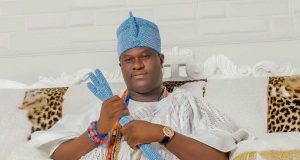 Chairman/Chief Executive Officer of Air Peace, Mr. Allen Onyema has urged Nigerians to drop their ethnic sentiments in favour of building a united and peaceful nation. 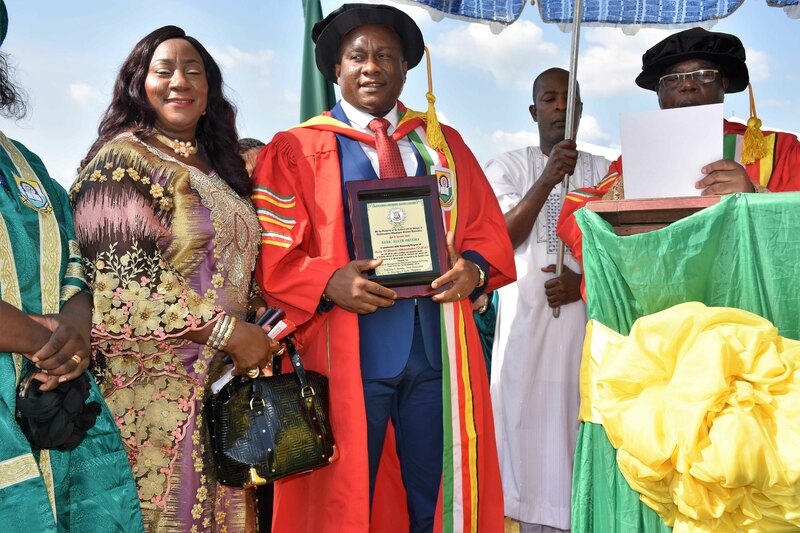 Onyema made the call after he was conferred with an honourary Doctor of Business Administration (DBA) at the 9th Convocation Ceremony of the Chukwuemeka Odumegwu Ojukwu University, Anambra State on Saturday. 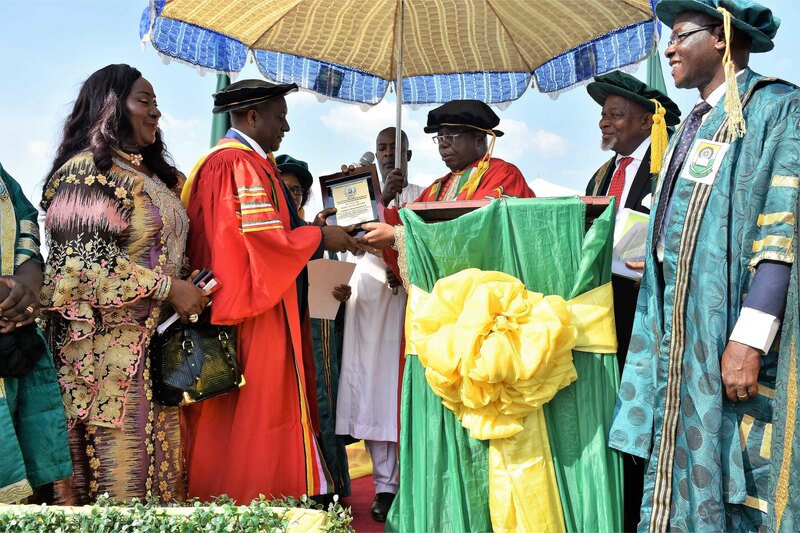 Onyema, who also donated N70 million towards the university’s infrastructure project and pledged the setting up of Nigeria’s first Centre for Nonviolence and Peace Studies in the institution, regretted that ethno-religious conflicts were pulling the country apart. 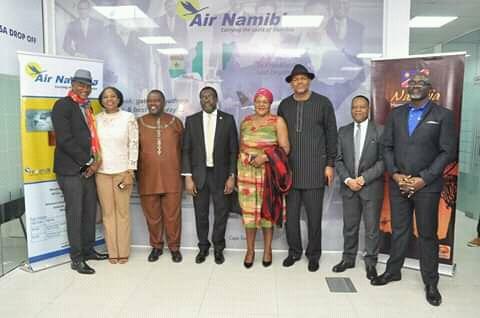 Air Peace Chairman/Chief Executive Officer, Mr. Allen Onyema (4th left), Vice Chairman, Mrs. Alice Onyema (3rd left), Anambra State Governor, Chief Willie Obiano (7th left), First Lady, Chief Ebelechukwu Obiano (8th left), Chancellor of Chukwuemeka Odumegwu Ojukwu University and Ewi of Ado Ekiti, HRM Oba (Dr) Rufus Adeyemo Adejuggbe Aladesanmi III (4th right), his Olori ((3rd right), acting Vice Chancellor of Chukwuemeka Odumegwu Ojukwu University, Prof. Gregory Nwakoby (right), Chief Anthony Enukeme (2nd left), Mrs. Enukeme (left), Chief Earnest Azudialu Obiejesie (5th left) and Mrs. Obiejesie (6th left) after the conferment of an honourary Doctor of Business Administration on Onyema by Chukwuemeka Odumegwu Ojukwu University on Saturday. “I want to help education. I want to fight the incidence of violence and ethnicity in this country. The greatest bane of our development is ethnicity.That is why I want to set up the first Centre for Nonviolence and Peace Studies for them (Chukwuemeka Odumegwu Ojukwu University, Anambra State) by collaborating with the university and making it an elective course for students, so that people will start learning how to manage conflict. “Conflict is a catalyst for change but it depends on how you manage it. The institute I want to set up here will help Nigerians with the ways and means of managing conflicts to achieve better results,” Onyema said. 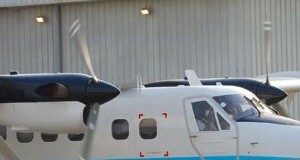 The Air Peace boss, who said he was proud of his contribution to dousing ethnic agitations in the Niger Delta and other flash points in the country through his organisation, The Foundation for Ethnic Harmony in Nigeria (FEHN), assured that he was determined to fix the challenges of the nation’s aviation sector with his airline. 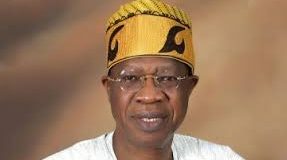 He urged the Federal Government to resist the temptation to set up a national carrier, insisting that experience around the world had proved that the model was at best a drain on lean public resources. Ethno-religious violence, Onyema assured, could always be efficiently tackled through education and provision of employment opportunities for Nigerians. He said Air Peace had continued to lead the way in job creation with the provision of tens of thousands of direct and indirect employment to Nigerians without ethnic considerations as part of the carrier’s contribution to the nation’s economic development. Air Peace Chairman/Chief Executive Officer, Mr. Allen Onyema (2nd left) receiving a plaque from the Chancellor of Chukwuemeka Odumegwu Ojukwu University and Ewi of Ado Ekiti, HRM Oba (Dr) Rufus Adeyemo Adejugbe Aladesanmi III (right), while Air Peace Vice Chairman, Mrs. Alice Onyema, acting Vice Chancellor of Chukwuemeka Odumegwu Ojukwu University, Prof. Gregory Nwakoby and Deputy Vice Chancellor (Academics), Prof. Prof. E. I. Idemobi look on during the conferment of an honourary Doctor of Business Administration of Onyema on Saturday. He confirmed that Air Peace currently had 27 aircraft in its fleet, besides the firm order it recently placed with Boeing for 10 brand new B737 Max 8 aircraft. He said the airline had demonstrated doubtless capacity to fix the challenges of seamless flights on the domestic and international routes. “Today, we operate into 14 domestic and five regional destinations, with plans for the inauguration of our long-haul flights to Dubai, Sharjah, London, Houston, Guangzhou-China, Mumbai and Johannesburg nearing completion,” he said. 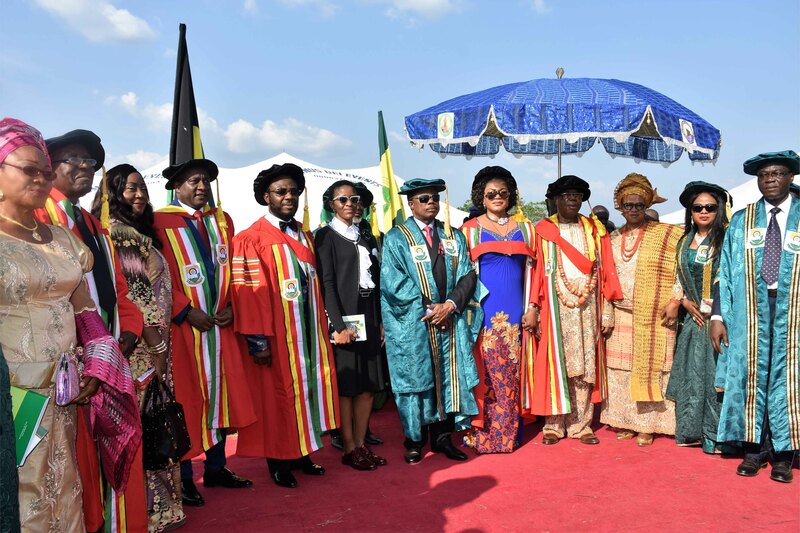 Thanking Chukwuemeka Odumegwu Ojukwu University for honouring him, the Air Peace boss urged the Federal Government to continue to accord Nigerian businesses the needed support to empower them to speed up the nation’s socio-economic development.